Want to improve your landscape but don’t know where to begin? Blue Thumb Neighbors is for You! 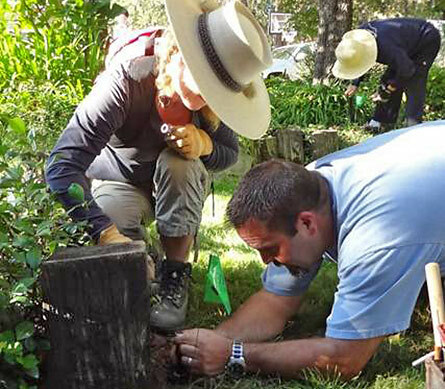 The Carmichael community has been selected for a unique program called Blue Thumb Neighbors designed to help residents create beautiful, sustainable landscapes. Two participants will win weather-based “smart” irrigation controllers donated by Rain Bird and Hunter! The Blue Thumb Neighbors team will be going door-to-door on Saturdays, August 4 and 11 in some Carmichael neighborhoods to provide more information about the program and invite residents to participate. Contact Christine Kohn, Blue Thumb Neighbors Program Coordinator, by phone: 916-944-1631 or via e-mail: ckohn@INcommunications.biz.